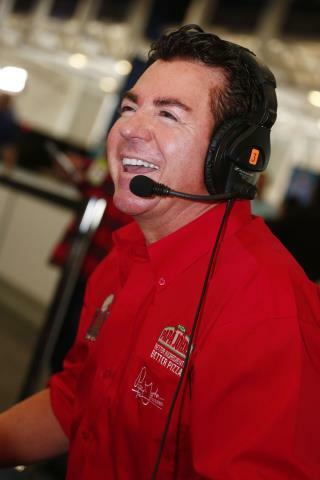 (Newser) – One more punishment for Papa John's founder John Schnatter over his use of the n-word: He just got the boot from his office at company headquarters in Kentucky, reports CNBC. Schnatter had previously resigned as chairman of the board—though he remains on the board in a lesser capacity and is still a large stakeholder—and been stripped of his role as the company's spokesman in advertising. As a result, a newly formed special panel made up of board members decided that Schnatter no longer needed the office space, reports CBS News. Calm down, you whiney cuck-flakes, calm down! Don't worry your empty noggins about your oh-so-special, millionaire racist whiner Papa Schnatter. Because, when it comes to racist whiners, the Republican Party will always make more! Think they are over reacting. Think was set up.He was on an inter company conference call.With a public relations company .That Papa John's was paying for.So how did this get out.Don't think I would be hiring that public relations company. If they can't keep conference call private for training Why did this happen in May and we just now hearing about it. Something is suspicious about this.But yet Is used in song lyrics. By African Americans.But ok for African Americans to call caucasians honky& cracker on TV the hypocrisy of it.